Join us in documenting and helping to preserve Ghost Signs !!! There are many more out there. 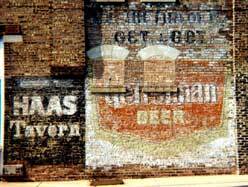 Please alert us as we plan an on-going gallery of "Ghost Sign" photos in our Virtual Exhibits to celebrate this example of signmaker's art.